Scatec Solar develops, builds, owns, operates and maintains solar power plants, and already has an installation track record of more than 1,000 MW. With an established global presence, the company is producing electricity from 584 MW of solar power plants. Norsk Titanium uses its novel game changing Direct Metal Deposition technology to produce high quality, complex Titanium components for industrial applications. To be able to provide energy to a growing population in a sustainable way, it will have to be climate neutral. This will inevitably result in the reduction in fossil fuel consumption and electricity will increasingly become the preferred energy carrier. In Scatec, we are looking into new ways to produce renewable and climate neutral energies, as well as enabling technologies, parts and components. A more sustainable future will require advanced materials. Lighter, stronger, and more durable materials produced in an energy efficient way with increased opportunity for re-cycling will be beneficial both to the environment and the consumers. Lighter and stronger materials will require less energy in all moving objects, more durable components will reduce repairs and necessary substitution. In total this will reduce energy consumption throughout the value chains. Scatec is among others involved in novel titanium production technologies and advanced separation of rare earth elements. 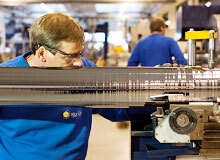 NorSun produces single crystal silicon wafers used in the production of high efficiency solar cells. Norsk Titanium is using its game changing Rapid Plasma Deposition technology (RPD) to produce complex, high quality Ti components. 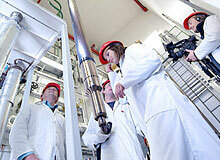 Thor Energy provides validated fuel designs and engineering services for thorium based nuclear fuels. REEtec develops businesses related to rare earth elements based on a new and unique separation technology. 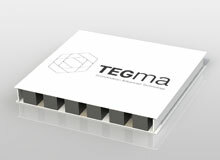 TEGma develops materials and technologies for thermoelectric modules converting waste heat to electricity. Keep-it Technologies reacts to time and temperature and shows accurate shelf life. Reactive Metal Particles (RMP) is a company developing a new, low cost production process for fine and ultrafine metal particles. HIPtec is a technology company that has developed novel, game-changing processes for the industrial production of metallic components. Scatec’s strength lies within the development phase; to identify and efficiently develop and industrialize promising new technologies. In general, Scatec manages and finances early phase development on its own. When the start-up company has reached the ”proof of concept” stage where the probability of success is regarded as high and the company is ready for large-scale industrialization, we look for external financing. Normally, Scatec will seek other investors and industrial partners to (co-)lead the large-scale industrialization and commercialization phase. Scatec is first of all a catalyst for new business ideas and an incubator for high-tech companies. Our small, corporate organization has all the competence needed to establish a company, including technology and business development, finance, legal, human resources, communications and office support. This allows Scatec to provide our start-ups with a complete management team from the onset, carrying out the organizational and practical elements involved in the creation and operation of a new business, injecting power and structure into new ideas. SCATEC’s VISION is to create value and to make the world a little cleaner. Our business idea is to develop and implement new technology to produce renewable energy and advanced materials. Scatec is a Partner of The Norwegian National Opera & Ballet where we specifically support The Norwegian National Ballet 2. Established in 2015, this ensemble consists of Norwegian and foreign young talents between the ages of 17 and 23 and is part of the National Ballet’s efforts to explore new ways to develop the dancers of tomorrow. The aim is also to gather some of the best young dancers in Norway and from around the world in the Opera house. In addition to their own performances and touring, the young dancers will participate in the Norwegian National Ballet productions. In Scatec we contribute to innovation within the fields of renewable energy and advanced materials. We are paving the way for new ideas to be developed into new, sustainable businesses through highly skilled and competent individuals who are teaming up to create the best foundation for new businesses to prosper. The company methodology encourages effective knowledge sharing and synergy between business areas. We are an industrial investor focusing on companies in an early phase, and leverage our industry knowledge, network and technical competence to maximize the probability for success to the benefit both to our society and our shareholders. A common denominator with DNO&B is that a successful performance is the result of skilled individuals performing their part in the best possible way. Hence, it is necessary to build individual talent as well as fine-tuning the team effort. Our ways of working also have common features in the quest for quality where human interaction is the key to success. In Scatec we are a team of professionals working together, building on our individual strengths to successfully find new solutions and tackle the challenges. This creates innovation! Our partnerships with DNO&B allows us to take part in the great interaction of both operas and ballets. Even as a small sponsor, Scatec’s contribution can make a difference for the National Ballet’s young talents and we are with great interest following the ballet company’s development and progress. On the occasion of Dr. Alf Bjørseth’s 75th birthday in November 2016, Scatec introduced “Alf Bjørseth’s Inspirasjonspris” (Inspiration Award) with the objective to inspire young scientist at the start of a career within renewable energy and advanced materials. The award will be presented annually in cooperation with The Chemical Institute at Oslo University (UiO). Applicable candidates will have earned a doctor’s degree at UiO in a subject relevant to renewable energy or advanced materials during the last two years. Through his unique entrepreneurship, Dr. Alf Bjørseth has established a number of vital businesses within the fields of renewable energy and advanced materials. Common for these companies is a technological foundation firmly rooted in research and technology. Alf himself uses every opportunity to communicate the importance of expert knowledge, often with his own Dr. Phil. in chemistry as example. For these reasons, Alf is an important role model and source of inspiration for future generations’ young scientists. By instating Alf Bjørseth’s «Inspirasjonspris» (Inspiration award), Scatec AS wishes to honor its founder and inspire young scientist on the threshold of a career within renewable energy and advanced materials. In 1994, Dr. Bjørseth set up ScanWafer, a company within the global solar industry that specialized in the production of multi-crystalline silicon wafers. He later established a further three companies related to solar cell and module production, as well as a solar module installation company. These companies were in 2000 merged into one holding company known as Renewable Energy Corporation (REC), of which Dr. Bjørseth served as President and CEO from the onset. REC was listed on the Oslo Stock Exchange in 2006 and was at the time one of the largest solar energy companies in the world. 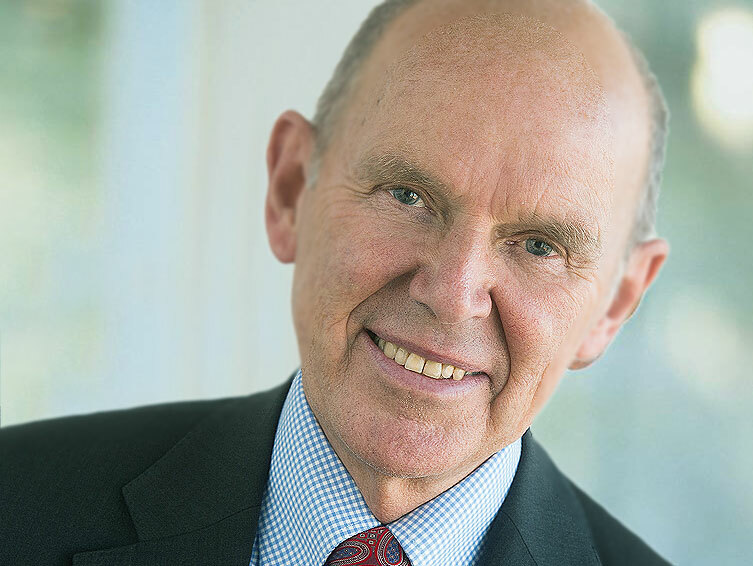 When the IPO of REC was decided in 2005, Dr. Bjørseth retired as CEO in order to focus his time on developing new business ideas within his private company Scatec AS which he founded in 1989. These efforts have so far resulted in one more IPO, when the integrated independent solar power producer, Scatec Solar ASA, was listed on the Oslo Exchange in 2014.